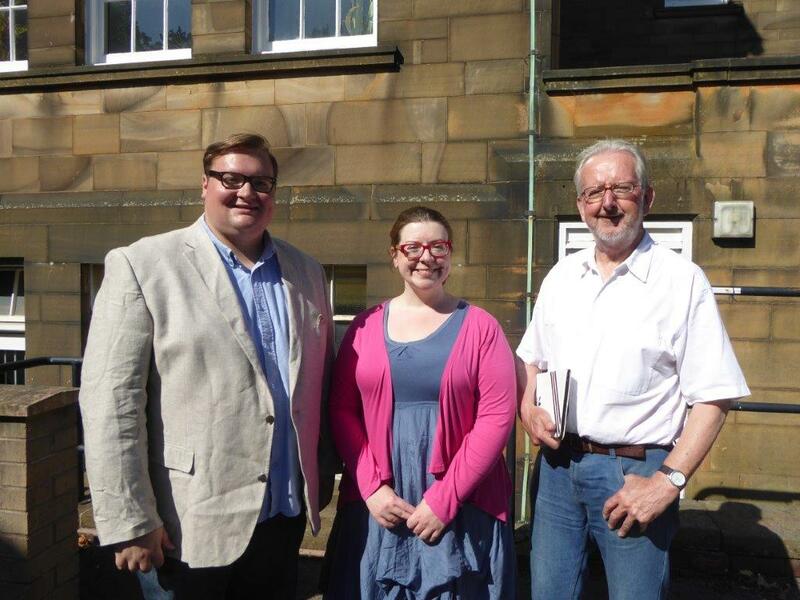 Glossopdale’s three county councillors plan to engage the public further on the way forward for library services in the town after finding the four public surgeries they held earlier this month “very helpful”. The councillors say their well-attended meetings heard residents expressing their interest and sharing their concerns around the two options to re-house the town’s library services into new buildings on the present Adult Education Centre’s grounds. Support for there to be a third option to keep these services in Victoria Hall was proposed by the SOUL group. They said they regretted that the County Council wasn’t able to offer this option. “Whilst SOUL have been an effective group in promoting a Victoria Hall option, they have had more than three years to bring a credible, costed and funded plan forward and library users cannot wait another three years for nothing to come forward again whilst there is £1.9million set aside for a new library not being used”. Cllr Damien Greenhalgh said local people shared concerns around the design of the proposed buildings on the former Glossop Grammar School site and the difficulties with parking in this area – particularly that the standalone building in the centre’s car park (option 1) would remove too many car parking spaces exacerbating the situation. “Gaining planning consent for either option will take considerable time, due to the adult education centre being grade II listed and being a conservation area.” he added. Attendee’s also expressed interest over the adult learning and library services coming together with a sympathetic extension of the adult education building (option 2). The councillors, who say they much prefer this option, feel that this option offers the greatest potential for services including increased usage, increased collaboration and greater efficiencies. 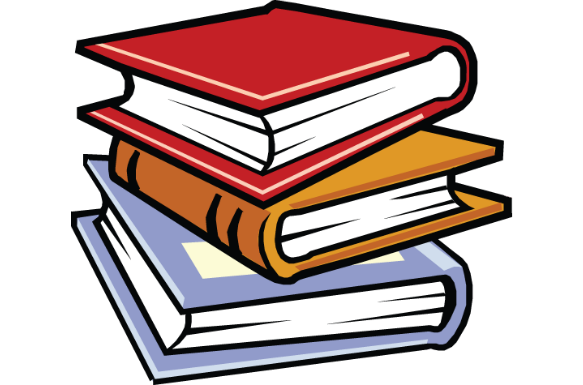 Cllr Ellie Wilcox said that the recommendation for the creation of a ‘Glossopdale Learning Library’ was one which the County Council had confidence it could provide. The councillors’ surgeries are to be held at the Glossop Library at 4pm, 5pm and 6pm on Monday 2nd November and 10am, 11am and 12noon on Saturday 7th November. Below is the open letter to the people of Glossop about Victoria Hall and the future of the library service. This letter is from Cllrs Dave Wilcox, Ellie Wilcox and myself as the three local county councillors for Glossopdale. This is awful news for those, like us, who have supported and fought for the library to remain within Victoria Hall over many years. But we are trying as hard as possible to be upfront about the decisions we are being reluctantly made to take. If you would like to come and discuss through this with us in person are holding four surgeries throughout the day on Monday 12th October. Letter: Our open letter to residents regarding the future of Glossop library. The Glossop Gazette as part of it’s coverage is asking every candidate three questions. Please find these along with my answer below. 1. Is the loss of 1,400 jobs an inevitable consequence of the savings that must be made in the DCC budget? How would your party’s cuts differ from those of your opponents? It is a sad reality that job loses at the County Council would have to be considered by any new administration in Matlock of any political colour. The Council’s budget has been cut by one third which is difficult enough but added to the increasing cost of care for the elderly and those venerable members of our society whom have had their lives made even harder by Government cuts, and some very painful decisions lie ahead. The 1400 figure is the current Conservative administration’s calculation but we aren’t able to see what informed that decision. Not until a new administration takes over and has the opportunity to look over the books will we know if those assumptions are correct or not. Labour values people as being the greatest resource of the Council and we will always try to minimise the number of compulsory redundancies, but at the moment assurances are unfortunately impossible. 2. If you were on the DCC planning and control committee would you have approved the application to demolish the old St Lukes School and build a new library? If not please suggest an alternative. The plan to build an inappropriate new library in Glossop will not see the light of day if Ellie and I are elected. The hastily put together application will be withdrawn. I, like many residents I’ve spoken to, do not buy into the false argument used by currently county councillors that the Victoria Hall cannot be become a library and community resource fit for the 21st century. Therefore a consultation to assess the needs and requirements of the people of Glossop will take place after the election, with proposals that will focus on a sympathetic internal refurbishment of the Victoria Hall with the funds available; if people have an unexpected and unlikely change of mind then we would of course look again at this. 3. Is immigration an issue in the DCC elections? If so, why? Immigration has long been used by political opportunists seeking someone to blame all the country’s ills. Migrants by and large contribute to society and have added great social, economic and cultural value to our nation – their looking after our elderly and unwell in the NHS is the exemplar. The overwhelming proportion of them come to this country to work, create wealth and pay taxes, not to live off benefits or seek NHS treatment as is often portrayed. The problem is not immigration but our globalised free-market system which denies us the tax base to invest properly in people and places. It’s not a new immigration policy we need, but a reformed system where the likes of Google, Amazon, Vodafone and Starbucks pay their fair share of taxes. Ellie Wilcox and Damien Greenhalgh start to shred the new library plan. Derbyshire County Council Labour Group Leader Anne Western has today confirmed that the planning application for a new Glossop Library “will not see the light of day” in the event of Labour being elected to run the County Council in May this year. In a message to the people of Glossopdale, she confirmed that Derbyshire Labour will consult on the best ways to sustain library provision in the Victoria Hall and make best use of the “campus of buildings” that cluster around the library, following suggestions that the planning application for a new library would be reconsidered in the near future. She has already given an assurance that the £2,000,000 which Labour set aside more than five years ago, will still be available for a fully-costed, value for money project that can enhance both library and adult education provision. Padfield and Hadfield Councillor Ellie Wilcox said that discussions need to focus on a sympathetic internal refurbishment of the Victoria Hall Library. “From visits to the Royal Exchange in Manchester, and from the refurbishment that is taking place on the Central Reference Library, people in Glossopdale know that older buildings can be retained and modernised sympathetically,” she says. Labour’s other County Council candidate Damien Greenhalgh has said that he wanted to be part of a mature discussion with the community on the way forward. Tomorrow is decision day for the hastily thrown together plans for the demolition of the former St Luke’s School on Talbot Street which currently serves as the area office for the County’s social workers and the erection of a new building of questionable design. Derbyshire County County’s Regulatory – Planning Committee is meeting tomorrow to decided upon the County Council’s application to demolition and replace the former St Luke’s building – details can be found here. As part of the committee’s deliberations, there will be a site visit to the Talbot Road site at approximately 10am. I believe many residents and members of SOUL will be there to try and make representations to the committee’s chair as will Ellie and I. These representation can unfortunately only be points on the merit of the planning application in isolation i.e. not mention of the future of Victoria Hall if the library is moved out nor whether this top down plan from Mr Lewer in County Hall is what the people of Glossopdale want. So I hope to see you there if you are coming. Labour County Council Candidate Damien Greenhalgh says that he is “flabbergasted” at the recommendation from the County’s Planning Officer on the new Glossop Library planning application. Following an open letter to planning chiefs last week, Mr Greenhalgh says that of 491 public representations there was only one in favour. Even more concerning, he says that respected national organisations such as English Heritage and The Victorian Society have had their representations dismissed, along with many residents objections because it is claimed they refer to Victoria Hall too rather than to the application itself. His County Council running mate, Padfield and Hadfield Borough Councillor Ellie Wilcox, says that she and Damien intend to make direct representations to the planning committee at their Matlock meeting on 25th March. Mr Greenhalgh says that having combed the Derbyshire website he could only find one local supporter, which was Conservative Cllr Jean Wharmby, who “offers her full support for “the relocation of the existing library to the Talbot Street site.”Labour County Council candidate, Damien Greenhalgh, has today written to County Council planning chiefs asking how much public support there has been for the building of the new library from the Glossopdale public. He has also sought further clarifications about what other replies the planners are awaiting, as the formal consultation ended on the 14th February. Labour’s candidates for the May County Council elections in Glossopdale have accused Conservative-controlled Derbyshire County Council of incompetence in it’s handling of plans for a new library on the site of the Old St. Luke’s School site. Damien Greenhalgh said that the County Council’s plan to demolish the former school and build a new library in its place is in “chaos”. His comments come as the Council announced that its own planning committee would now meet to decide the planning application on March 25, not March 13 as originally intended. Derbyshire County Council cited ‘delays in finalising the anticipated reports’ for the change of date. Damien called on Derbyshire County Council Leader, Andrew Lewer, to use the extra time to fulfil his specific personal pledge to hold information days and consult local people as stated in his open letter of 8th November 2012. Failure to hold the meetings was just another failure on the part of the County Council to pay regard to the strong feelings of the people of Glossopdale. Branding the process as chaotic Damien highlighted mistakes such as the over stated usage numbers. When the new library was first proposed it was estimated that there would be 310,000 visits, this figure has since been revised downward to 150,000. He said: “It is unbelievable that the figure should change so much over night. The Council has since admitted it got the numbers wrong which begs the question about what other mistakes could have been made in the haste to get the plans through before the May elections”.